April 2017 has a lot of stationary planets. There are generally two types of motion of planets as they are seen in the skies: direct, or retrograde. Now back in ancient days, before western man realized that the Earth was not the center of the universe, it was thought that the planets actually stopped in the sky and moved backwards. After all, it seemed obvious enough, right? I should interject that the Vedic culture (where my brand of astrology comes from) always had the heliocentric model of the solar system. But in truth, no planets actually move backwards. They take on the appearance of doing so, sort of like when two cars turn a corner at the same speed, but the one on the inside seems to overtake the one driving in the outer lane, but it is really a matter of distance and perspective. Traditionally retrogrades in astrology are afflictions on the planets. Mercury retrograde especially is considered not a good time to initiate new endeavors, as the results are more certain to be afflicted by problems. This month we have Mercury, Venus, Saturn, and Pluto making stations. We also have a couple other things, which I’ll cover also. I would just say that the retrograde motion adds more complexity (and therefore the difficulties) to the issues that they elicit in us. On Friday, April 7 (right after Saturn turns retrograde the day before) Jupiter will be at opposition.This basically means a “full Jupiter” instead of the Earth between the Sun and Moon, producing a full moon; it is the Earth between the Jupiter and the Sun. Jupiter is at its closest to Earth and receives the full illumination of the Sun’s rays and is brightest and highest in the sky. In a horoscope, seen from the perspective of a person on the ground, an opposition the planets in question are seen as seven houses from each other and exactly 180 degrees from each other. In a solar system view, you get the bigger picture. In the image here two different possible alignments of the Jupiter, Earth, and the Sun: opposition and conjunction. If you look at the Earth in the solar system image, remember that it is at the very center of the horoscope image above it. Horoscopes are generally geocentric; solar system views are obviously heliocentric. There is a particularly intense two-day period as Pluto will make its retrograde station, which is usually impactful enough in its effects. 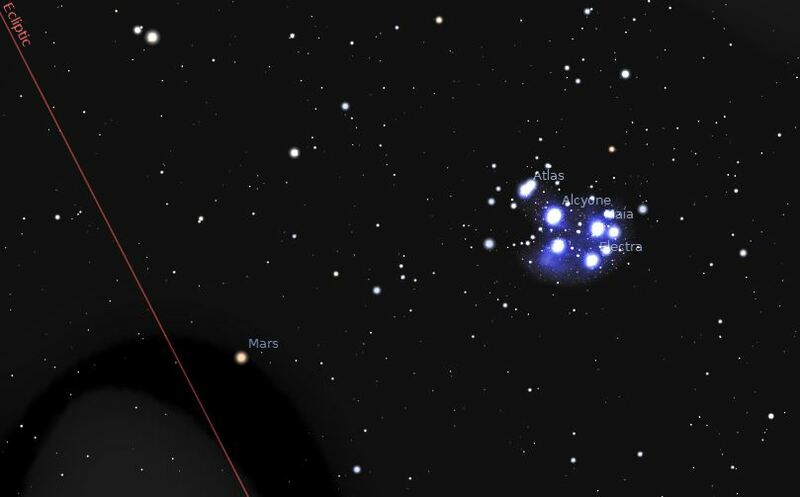 However, to add to the intensity, Mars will also make its closest approach to the Pleiades. There are many stories about the Pleiades from myth and new age teachings. Astrologically, however, the Pleiades are some of the most virulent influences, associated with blindness, injuries to the face and eyes, and even beheadings. Those are the most extreme negative examples of course, but I think one key word would be ‘intensity’. 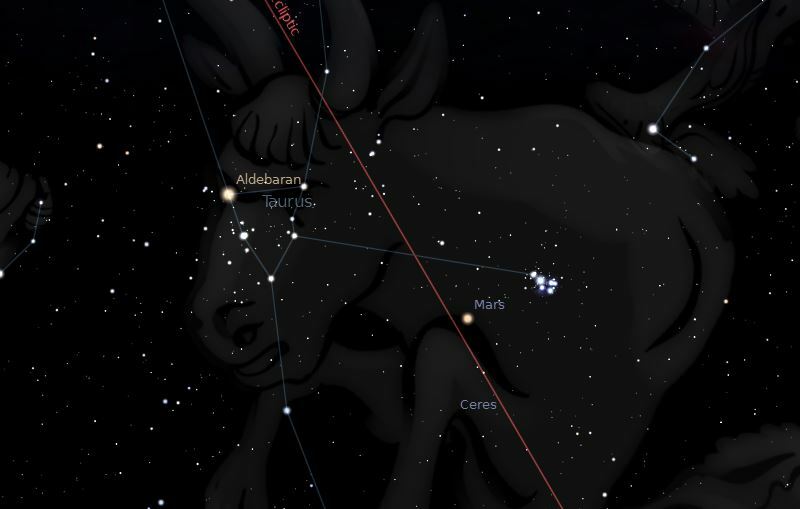 So with a debilitated Mars in Taurus at its closest to the Pleiades (or the zodiacal degrees thereof), should be cause for concern, tread carefully around the 20th and 21st. 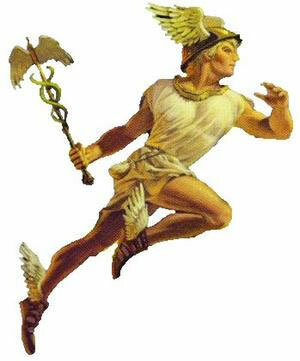 Chronos/Saturn, the ancient father figure who ate his own children, stops dead in the sky today, beginning a five-month reverse sojourn in the zodiac, retracing it’s steps through early sidereal Sagittarius, and dipping its toe every so slightly back into Scorpio for a little bit. Expect another layer of mystery/difficulty to Saturn’s effects to this time. It’s not the end of everything, just a slightly more intense effort required at times. 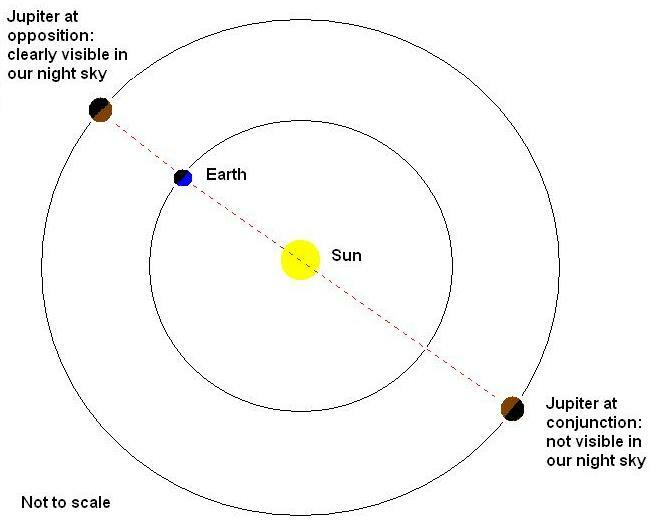 The Sun opposes Jupiter, the Earth (Us) is at the midpoint, making Jupiter at its brightest and highest in the sky. Spirits are high; ambition, zeal, and boldness too. It could be more dangerous than beneficial, because of what those in position of power can do with their religions, doctrines and philosophies. Let the ego take a break, put the benefit of others before you for a change. Transiting Mars enters the sign of its detriment, for about a month and a half. Expect a bit more suppressed anger emerging, as well as some fruitage (good and bad) of the pursuit of material wealth and prestige. The emotional responses to the finer things in life are enhanced: beauty, love, art and culture.